Hey everyone! 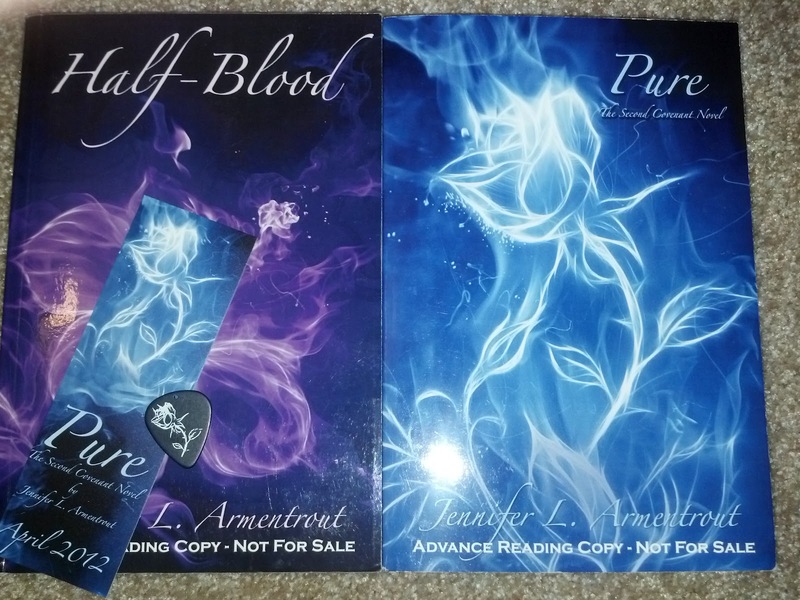 As you may know I (Andrea) am a HUGE fan of the Covenant series by Jennifer Armentrout and well I wanted to give our followers a chance to read these books as well, so its Giveaway time!! I haven't read both of them neither, but i hope to read both of these books very soon. I have not read this series yet but it's on my wishlist for sure. I'm really looking forward to know more about the romance and all the action in those books. I haven't read these yet but I've heard great things. I'm really looking forward to the chance to read them. Thanks for the giveaway! I have not read these yet but it seems like everyone loves them so I will definitely need to read! I haven't read these yet. They have had really good press. Thank you. I have not read these books. Thanks for the great giveaway. I have heard so much good about this series that it is contagious! Definitely in my TBR. Thank you for participating in this fun tour and giveaway opportunity. I have not read this series yet but I have read so many good reviews and I'm very curious about them. I haven't read Pure but I want it so bad because I have read Half-Blood. Seriously loved it. I want a copy of Pure so badly! I haven't read this series yet but I have read Obsidian and it was AMAZING! So there is no doubt in my mind that the Covenant series we'll be just as good. Thanks so much for the giveaway, I have beem desperate to read this series! I would love to read win these books. Thanks for the chance! I haven't read either book but have been seeing rave reviews! thanx for the giveaway! your awesome! (: I've been dying to read these books for ages! Jennifer's an awesome author! Great giveaway! I haven't read any of her books! Thanks for the chance to win her books!! I haven't read Half-Blood or Pure yet but I really want to. I've been seeing a lot of these books lately and they definitely sound good! I love Jennifer Armentrout and her works so thank you so much for this chance!! I've been dying to have a physical copy of both books. You're right, we rarely see copies of these anywhere. Haven't read either book yet. Currently reading Obsidian, and I do like Jennifer Armentrout's style so these are on my "to-be-read" list. Thank you for the giveaway! Haven't read either book yet, but they are on my list. Can't wait to read them! I love getting introduced to new authors, and I love your reviews! Jennifere's Obsidian series is amazing!!! I haven't read the Covenant series yet, but I read a post on JA's blog from Adrian's POV and man I need to read these books! Great comp! I loved this series. I also really liked the Obsidian series. If you haven't read that one yet I would highly recommend it!!! Thanks for the chance to win! Thank you for the great giveaway. I have been wanting to read this series for some time! Quarter way through Half Blood and loving it. Great prize too. I haven't jet read this series, but I loved Obsidian. I am a die hard Jennifer Armentrout fan and I love this series!!!! I haven't gotten to read any of this series so I would love to win. :) Thanks for the giveaway. I haven't red the book yet but I think it's quite nice to read since I am a book lover! Nice blog by the way.